Notes: The more sun exposure you have, the darker the leaf will be. Excellent in back borders. 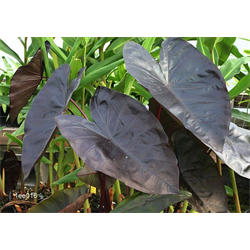 These Colocasia Esculenta Diamond Head bulbs tolerate moist, shady places very well.